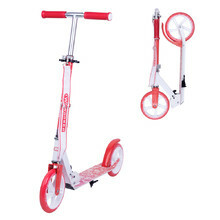 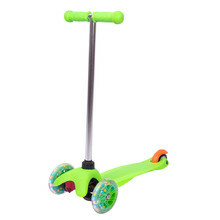 Children’s scooters with PU (polyurethane) wheels are suitable for riding in parks or on even terrain. 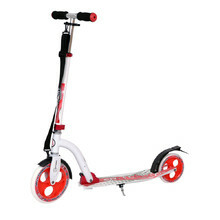 The hard polyurethane wheels help absorb impacts and are more durable, so a puncture is much less likely to happen. 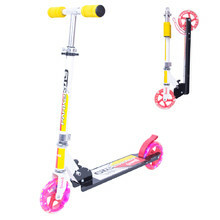 You can choose from a variety of frame sizes, wheel sizes or colour designs. 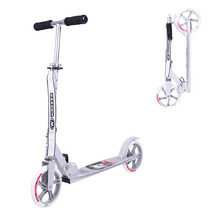 How to Choose a Children's Scooter? 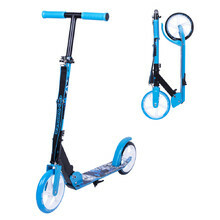 Folding scooter with adjustable handlebar height, kickstand, rear reflector. 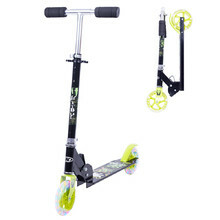 Adjustable handlebar height, foldable, anti-slip footboard. 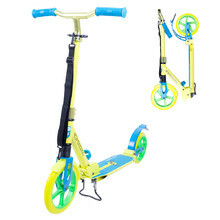 Folding scooter with adjustable handlebar height, kickstand, strap for carrying. 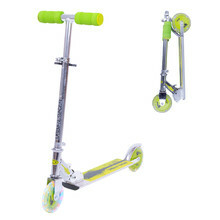 Freestyle scooter, steel fork, 360° T-shaped handlebars, soft handlebar grips. 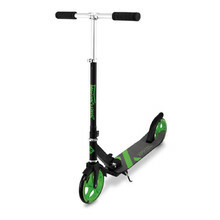 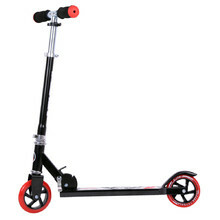 Foldable scooter with foam handlebars, rear foot brake, light and easy to store. 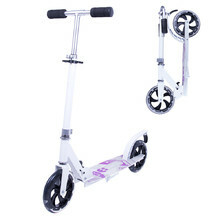 Aluminium scooter with large wheels - 200mm. 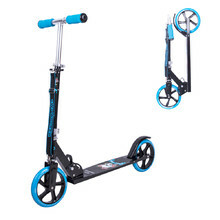 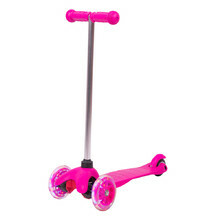 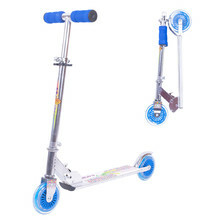 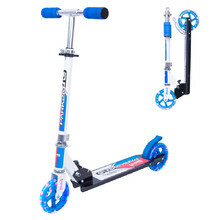 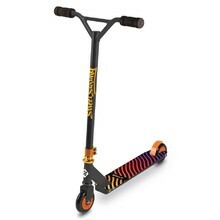 Load capacity 100 kg, weight 4.2 kg, ABEC 7 bearings, length 95 cm. 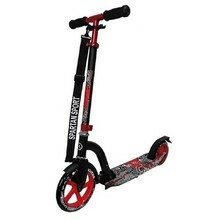 Adjustable handlebar height, easy folding, strap for carrying, step-on rear brake.